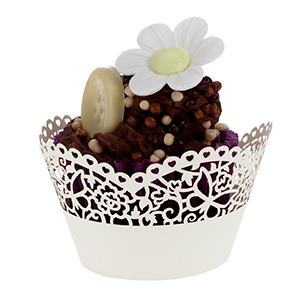 We have a beautiful selection of gorgeous wraps for cupcakes with gorgeous printed designs or intricately laser cut for perfectly displaying cupcakes on a cake stand. 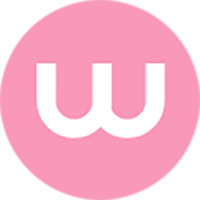 Cupcake wraps are lovely for weddings and special occasions and celebrations (anniversaries, Christenings and birthdays) as they make a simple and effective way of creating a gorgeous display of cupcake treats. 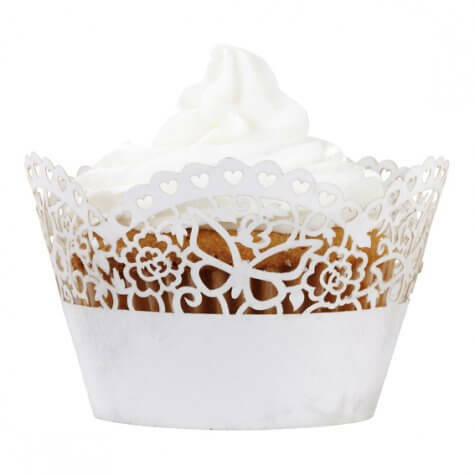 These cupcake wraps are recommended for use with fairy or muffin type cases and are a decorative product. Cupcake couture ! 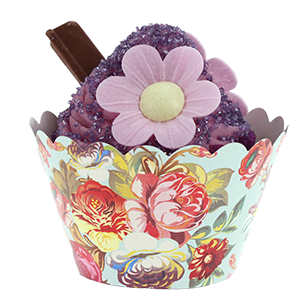 Apart from looking so pretty these cupcake wrappers really do have a practical application. 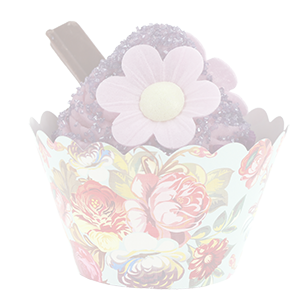 The pretty wrappers will cover the original cup cake papers which is a good thing as they can become slightly disoloured after baking. Who'd have thought the experience of eating cake could get any better!